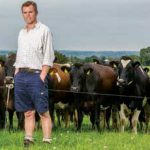 A Duchy farming tenant on the Needwood Estate is taking a fresh approach to his family’s dairy and poultry farm, introducing key business disciplines to improve productivity. Rupert Major believes that his livestock and poultry are happier, healthier and more productive when they are looked after by well organised and motivated staff. As a result, he has invested time and resources in building a team who understand the overall aims of the business, appreciate their individual responsibilities in delivering those aims and work together to share learning and best practice for the benefit of the business as a whole. Rupert had been managing the family farming business for 10 years. 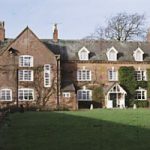 He became aware of the need to focus his efforts into building a great team in 2016 when he took on the additional responsibility of running the family’s other non-farming businesses near Tutbury in Staffordshire. It quickly struck him that the amount of time he could devote to various aspects of the business was limited, so he would have to rely on a skilled and experienced team to help. Weekly meetings have helped to develop this ‘one team’ culture with the sharing of statistical information on every aspect of the business, from the best grazing areas that week to the current health of the herd. With regard to the latter, details of vaccinations or antibiotic treatments are written on the animals’ skins so that regular and casual staff are kept up-to-date (the team call this ‘mobile blackboarding’). A Whatsapp mobile phone group has also been set up to keep team members advised of daily tasks and progress and there are regular demonstrations from external experts on issues such as scow condition, locomotion scoring and foot trimming. Rupert applies the same philosophy to the 24,000 bird free range egg unit on the farm. 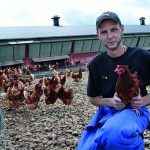 In July this year he brought in local poultry farm worker Kevin Eldridge and made him Unit Manager, teaming Kevin up with experienced poultry specialist Dave Galley for coaching in specific areas. “I really do want to build a reputation as a good employer,” said Rupert, “and someone who cares about the ongoing development of the team’s skills and experience. This not only help us to keep highly skilled members of the team, but will also encourage good quality candidates to apply whenever a vacancy arises with us.